Chicago’s WAR HOUND have premiered the official video for their song “Next Level Demonstration 2013”. 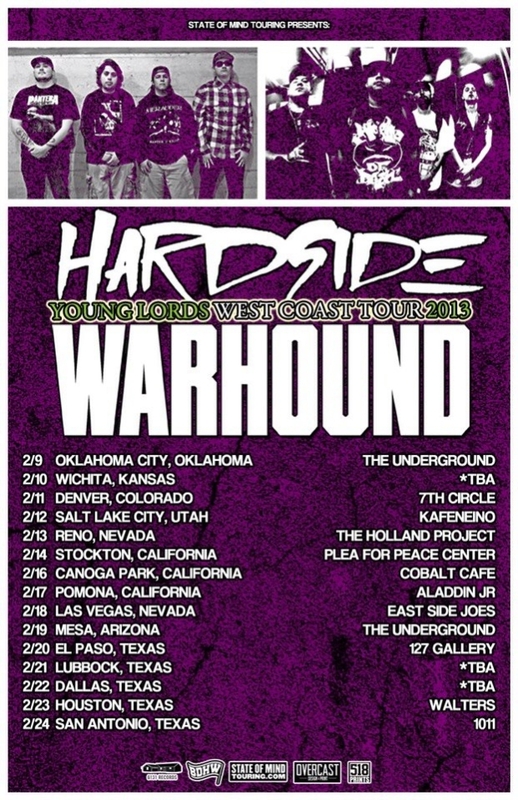 The band will be touring the US with HARDSIDE in February. See the dates below. HARDSIDE‘s “Time Is Punishment” album is available now!